Patsy H. Moore, 60, of Jarratt, passed away Wednesday, October 8, 2014. She is survived by her husband, Franklin B. “Duke” Moore; three sons, Franklin B. “Pete” Moore, Jr., James Ray “Jamie” Moore and Timothy Scott Moore; daughter, Debra Copeland; eight grandchildren, four brothers, Charles T. “Tommy” Harrell, Ollin B. Harrell, Jr., Phillip Harrell and Carlton Harrell and a sister, Becky Stainback. Mrs. Moore was preceded in death bya brother, Kenneth Harrell. A memorial service will be held 2 p.m. Saturday, October 11 at Emmanuel Worship Center of Emporia where the family will receive friends one hour prior to the service. In lieu of flowers, the family suggests memorial contributions be made to Petersburg Animal Welfare Society, “P.A.W.S.”, P.O. Box 1841, Petersburg, VA 23805. Online condolences may be made at www.owenfh.com. Elaine Clarke Bradley, age 86, of Emporia, Va. passed away October 6, 2014. She is preceded in death by her husband, Eddie Lee “Pete” Bradley, Sr.; her daughter, Kathy “Chip” Bradley; and two brothers. She is survived by her three children, Dianne Bradley of Emporia, Eddie Bradley, Jr. and Elizabeth M. of South Hill, and Rodney Bradley and Mark Webster of Richmond; two grandsons, John Bradley and Caroline and Ryan Bradley and Sarah; and six great grandchildren, Perrin, Hunter, Britain, Tyler, Brooklyn, and Ryder. A memorial service will be held 3:00 p.m. Sunday, October 12, 2014 at Main Street Baptist Church, Emporia. The family will receive friends following the service at the church. Memorial contributions may be made to Main Street Baptist Church, 440 South Main St., Emporia, VA 23847. Williams Funeral Home, Lawrenceville is in charge of arrangements. Online condolences may be made at www.wmsfhva.com. Jeffrey Robert Koch 46, of Emporia VA, formerly of Potsdam, NY, passed away on Sept 22, 2014 at the Medical College of Virginia Hospital (MCV), Richmond, VA, following an automobile accident which occurred September 13, 2014. He was preceded in death by his father, John Koch, sister, Gayl Koch, and infant brother, Timothy Koch. Survivors include his mother, Ruth Sherman Koch of Emporia, VA, sister, Debra Koch Brigman (Jim) of Manassas VA, one niece, Kayla Duesterdick of Northern VA; several aunts, one uncle, and several cousins. Jeffrey graduated from Potsdam Central School and worked at the Department of Corrections in Greensville County, VA.
A Memorial Service will be held on Sunday, October 5, 2014 at 2:00 p.m. at Monumental United Methodist Church. In lieu of flowers, memorial contributions may be made in Jeffrey's memory to the organization of your choice or to Monumental United Methodist Church, 300 Southampton St., Emporia, VA 23847. Mrs. Annie Lee Robinson, 87, of Canton, GA, went to be with our Lord, Friday, July 18, 2014. Annie was born on August 14, 1926. She was a member of Antioch Christian Church and active at the Cherokee County Senior Center. She was preceded in death by her husband, Arldon L. Robinson. She is survived by her children, Marian Hawkins of Raleigh, NC, Douglas L. Robinson of Canton, GA and C.G. “Robbie” Robinson of Canton, GA; three grandchildren, 5 great-grandchildren and 3 ½ great-great grandchildren. Graveside services will be held at 1:00pm on Saturday, September 20, 2014 in Fountain Creek Baptist Church Cemetery, Emporia, VA.
Janice Kay McEntire Harrell, 73, passed away Tuesday, September 16. Born in Crawford County, PA; She was raised in Phillipsburg, PA where she lived with her parents, Kenneth and Lena McEntire and her brother, Jeffrey.She and her loving husband, Gordon B. Harrell, Jr. built their home in Centre Hill, PA where they raised their children, Shelley, Robert and Douglas. Janice was active in the Centre Hill United Methodist Church, the Centre Hill Grange and community service. She was always helping where she was needed including her children’s school and scouting. She helped establish the local soccer field and volunteered for Meal on Wheels and local charities. After retiring in 2003, she and Gordon moved to Gordon’s childhood hometown, Jarratt, Virginia and joined the Lebanon United Methodist Church. Janice is survived by her children, Shelley, Robert and Doug and her grandchildren, Shanon, Rheann, Cody, Willow, Daisy, Quinn and Meadow. Also surviving are her sister-in-law, Virginia Lee Harrell and brother-in-law, James “Bootsie” Harrell. Janice will be deeply missed by her loving family and friends. A memorial service will be held 11 a.m. Saturday, September 20 at Lebanon United Methodist Church. Online condolences may be made at www.owenfh.com. William Dean “Bill” Fraunfelter of Jarratt, VA, a Vietnam War veteran, died Friday, September 5, 2014 at McGuire’s Veteran Hospital in Richmond, VA. He was retired from the City of Emporia. Born in Ashland, Ohio on December 21, 1947, Bill was predeceased by his parents Paul Bernard Fraunfelter and Ruth Eleanor Gilbert Miller, and a sister Donna Miller Thomas. Survivors include his wife of 20 years, Sherry Taylor Fraunfelter; daughter, Casey Lindsay (Steve) of Wadsworth, Ohio; and son Eric Fraunfelter (Birte) of Kirn, Germany; stepchildren, Melissa Ivey Harrison (Brian) of Jarratt, VA and Will Ivey (Shannon) of Alberta, VA; grandchildren Laura Ashley Fraunfelter, Seraphine Fraunfelter, Logan Claire Harrison, Collin Lindsay, and Kristen Michele Ivey; and sisters Kay F. Wingrove (Harvey) of Warsaw, Ohio, and Ann F. White (David) of Ashland, Ohio, a brother, John Paul Fraunfelter of Arizona. Bill is also survived by his faithful companion Buddy. A memorial service will be held at 2 PM on Saturday, September 13th at Lebanon United Methodist Church, 10053 Lebanon Church Road, Jarratt, VA. A visitation with the family will be held prior to the service beginning at 1 PM. Richard Benjamin Jones, Sr., 87, of Emporia, passed away Saturday, September 6, 2014. Mr. Jones was the former owner of Jones Upholstery Shop in Emporia. He is survived by his daughter, Joan Harrell and husband, Rickey of Emporia; his son, Richard Benjamin Jones, Jr. and wife, Susan of Callaway, Virginia; two grandchildren, Adam Harrell of Richmond and Eric Jones of Callaway. A memorial service will be held at a later date. Online condolences may be made at www.owenfh.com. Peggy Ferguson Edwards, 79, of Emporia, Virginia, passed away Thursday, August 21, 2014. Survivors include her husband, Robert Edwards; four sons, Robert Edwards, Jr and wife Brenda of Emporia, VA, Kenneth Edwards and wife Barbara of Earlysville, VA, Barry Edwards of Emporia, VA, and Doug Edwards and wife Kim of Richmond, VA; eight grandchildren, Norah Edwards, Kennon, Sarah, and Blakely Edwards, Danielle Donati, Dustin Edwards, Zoe and Wyatt Edwards, two brothers, Norman Ferguson and Kennon Ferguson, Jr., two sisters, Joyce Gordon and JoAnn Lee. She was preceded in death by one brother, Billy Ferguson. She was well known for her church work, elderly care and child care. A funeral service will be held 2 p.m. Saturday, August 23 at Owen Funeral Home, 303 S. Halifax Rd, Jarratt, Virginia where the family will receive friends beginning at 12:30pm. In lieu of flowers donations may be made to the Samaritan Helping Hands in Emporia, VA. Online condolences may be made atwww.owenfh.com. Charlie Herbert Acree, age 61, of Valentines, Va. passed away August 10, 2014. He is preceded in death by his parents, Herbert Lee and Ethel Rook Acree; a daughter, Charlene Acree; three brothers, Earl, Ray, and Wilbur Acree; and a sister, Joanne Poythress. He is survived by his children, Becky Reed and husband Jason and Bobby Acree and wife Amy; six grandchildren, D.J. Reed, Makayla Reed, Nickolas Reed, Tyler Acree, Kobie Acree and Alayna Acree; his brothers, Sam , Bennie Lee, Thomas, and Cecil Acree; his sisters, Louise Thomason and Dorothy Jarratt; and numerous nieces and nephews. A Celebration of Life will be held 2:00 p.m. Saturday at the home of Becky and Jason Reed. Online condolences may be made at www.wmsfhva.com. William Horace Dunn, 91, departed this life for his home up above peacefully on Sunday, August 3, 2014. He was born on January 14, 1923, the youngest of 11 children, to the late William James Dunn and Lula Grizzard Dunn. Preceding hime in death were sisters, Emma D. Harrup, Willie D. Gilliam, Ann D. Riley, Frances D. Tyler, Ruby G. Williams and Bertha D. Drewry and brothers, Alton Dunn, Byron Dunn, Claude Dunn and Howard Dunn, Sr. Mr. Dunn was raised in Yale, Virginia which he called home until he later moved to Emporia due to his brother’s failing health and to be closer to medical facilities. He was a farmer for most of his life and loved working outdoors. He had a garden up until the age of 91 and worked it by himself. He loved to cook baked goods and was always sharing them with other people. He never married and had no children of his own but was loved by his many nieces and nephews. After serving in the United States Army during World War II in Italy, he came home and spent most of his life taking care of his parents and later looking after two of his sisters, his brother and a brother-in-law. He spent his last years as a resident of The Bloom Center in Emporia where he made many, many friends. He was taken care of by a staff that always had his best interests at heart. Ann Temple, Debbie Mozingo, his nurses, Debbie, Pam, Tammy and especially his beloved Geraldine will always be remembered fondly by his family members. He made a special friend while there, Mrs. Elizabeth Cook whose friendship at this stage of his life was a blessing to him. A special thanks from the family is also extended to Lifestar Ambulance Service for their care when needed. “Uncle Horace” as he was known by most, was a member of American Legion Bulla Post #46 and was a past member of the Joyner Gray Yale Ruritan Club. He leaves to cherish his memory, nieces, Kay Dunn Bryant, (Edward), Betty Jean Dunn Callahan, Nettie Lou Dunn Kitchen (Charles), Paige Withers (Bob); nephews, Howard Dunn, Jr. (Pat), Earl Dunn (Joyce), Charles Dunn (Janet), William J. “Billy” Dunn (Donna), a devoted brother-in-law, Louis Riley and his companion, Lauren and many numerous great-nieces and nephews as well as some great-great-nieces and nephews. The family would like to thank Lifestar Ambulance Service, Inc, for the many kindnesses their father during his transports. The funeral service will be held 2 p.m. Thursday, August 7 at Owen Funeral Home, 303 S. Halifax Rd, Jarratt, Virginia officiated by Dr. Walter Laseter of Calvary Baptist Church. Interment with military honors will follow at Antioch Baptist Church Cemetery. The family will receive friends at the funeral home one hour prior to the service. In lieu of flowers, the family suggests memorial contributions be made to Calvary Baptist Church Building Fund, 310 S. Main St, Emporia, VA 23847. Online condolences may be made at www.owenfh.com. Dorothy Marie Clary, 75, passed away Wednesday, July 30, 2014 after a brief illness. “Dot” as she was known by her family and friends leaves to cherish her memory, her son, Allen Dale Clary and his wife, Julie of Rocky Mount, NC; her grandchildren, Casey Clary of Raleigh, NC, Jordan Clary of Greenville, NC and Ali Clary at home with her parents; also her sister, Connie Kanipe of Louisburg, NC as well as many friends that she considered as family. “Dot” was preceded in death by her husband, Willie that she missed dearly after 53 years of marriage. They were truly best friends and had a real passion for each other and their time together as thay raised their son and spent their lives in Emporia. She was also preceded in death by her loving mother, Lizzie; her Aunt Florence and brother, Calvin. “Dot” loved her work as a hairdresser for over 40 years and developed many loving relationships during that time. The funeral service will be held11:30 a.m. Saturday, August 2 at Owen Funeral Home, 303 S. Halifax Rd, Jarratt, Virginia where the family will receive friends prior to the service starting at 10 a.m. Interment will follow at Greensville Memorial Cemetery. The family will also be at “Dot’s” home Friday evening 4-8 p.m.
Joseph Marvin Harrell, 75, of Jarratt, passed away Wednesday, July 30, 2014. He is survived by his wife of 55 years, Joyce “Nita” Harrell; four sons, Chris Harrell and wife, Judy of Yale; Tony Harrell and wife, Cindy of Lewisville, TX, Darryl Harrell of San Francisco, CA and Todd Harrell and wife, Amy of Warwick, RI; eight grandchildren, Shawn Harrell and wife, Lauren, Richard Harrell and wife, Leesa, Joseph Harrell, Allen Harrell, Matthew Harrell, Vickie Martin and husband, Richard and Elizabeth and Judith Harrell; three great-grandchildren, Dillon, Kylie and Marvin; a brother, John Richard Harrell of Emporia; two sisters-in-law, Mary Strickland of Roanoke Rapids, NC and Barbara Spruill of Gaston, NC and a brother-in-law, Robert Moseley, also of Roanoke Rapids, NC. The family will receive friends 6-8 p.m. Saturday, August 2 at Owen Funeral Home, 303 S. Halifax Rd, Jarratt, Virginia. The funeral service will be held graveside 2 p.m. Sunday, August 3 at Graves/Bobbitt Family Cemetery, 19133 Comans Well Rd, Yale, Virginia. In lieu of flowers, the family suggests memorial contributions be made to Hospice of Virginia, 1700 Bayberry Ct., Richmond, Virginia 23226. Online condolences may be made atwww.owenfh.com. David Hinton Barnes, Jr., 90, of Dinwiddie County, passed away peacefully at his home Sunday, July 20, 2014. He was preceded in death by his wife of 57 years, Mary Grant Barnes; son-in-law, Steven B. Taylor, and two sisters, Louise Barnes and Kathleen Barnes. Survivors include one son, Curtis Grant Barnes and wife, Sherry; one daughter, Ann Marie Taylor; three grandchildren, Melanie Barnes Sheldon and husband, Matt, Grant Barnes and wife, Jennifer and Ellie Taylor; great-granddaughter, McKenna Blaire Sheldon; two sisters, Ann Clay and Adelle Morgan and husband, Gill; sister-in-law, Louise Grant and numerous nieces and nephews. A U.S. Army veteran, David was a retired farmer and a member of Concord United Methodist Church where he was active in the Methodist Men’s Club. He was an accomplished baseball player in his younger days and later in life enjoyed watching and coaching. He also loved the outdoors and was an avid hunter. The family will receive friends 6-8 p.m. Wednesday at Owen Funeral Home, 303 S. Halifax Rd., Jarratt, Virginia. The funeral service will be held 2 p.m. Thursday at Concord United Methodist Church with interment to follow at Grace Anglican Church Cemetery. In lieu of flowers, the family suggests memorial contributions be made to Concord United Methodist Church, c/o Alice Spiers, 25713 Courthouse Rd, Stony Creek, Virginia 23882. Online condolences may be made atwww.owenfh.com. Read more about Obituary-David Hinton Barnes, Jr.
A memorial graveside service will be announced at later date at Fountain Creek Baptist Church Cemetery. 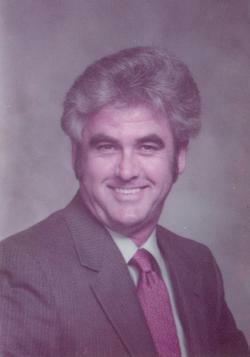 Merle Stevens Jessee, 73, of Emporia, passed away Friday, July 18, 2014. She was the daughter of the late Lilmer and Laura C. Stevens and was also preceded in death by three brothers, Howard, William “Billy” and her twin, Frank. Mrs. Jessee is survived by her husband, John D. Jessee, Sr.; son, John D. Jessee, Jr. (Mary Hill); daughter, Lynn Jessee Moseley and husband, Troy; granddaughter, Heather Leigh Moseley (Dave Smith) of Portsmouth; three brothers, Thomas Stevens of Pennsylvania, John Perry Stevens of Catlett, Virginia and Lilmer “Tuck” Stevens of Bealeton, Virginia and a number of nieces and nephews. The family will receive friends 4-6 p.m. Sunday, July 20 at Owen Funeral Home, 303 S. Halifax Rd, Jarratt, Virginia where the funeral service will be held 2 p.m. Monday, July 21. Interment will follow at Greensville Memorial Cemetery. Online condolences may be made at www.owenfh.com. William Todd Grizzard, age 66, of Valentines, Va. passed away July 13, 2014. He was preceded in death by his father, Norfleet Grizzard; two brothers, Wayne and Robert Grizzard; and his favorite pet, Chance. He is survived by his wife, Peggy W. Grizzard; his mother, Kathleen R. Grizzard; his son Billy Grizzard; his daughter, Candice Bryant and husband Michael; a step-son Ken Francis; a step granddaughter, Cameron Francis; a nephew, Ricky Grizzard; and two sisters-in-law, Cathy Grizzard and Sue Grizzard. A memorial service will be held 2:00 p.m. Saturday at Williams Funeral Home, Lawrenceville. In lieu of flowers, Memorial contributions may be made to the National Wildlife Foundation, www.nwf.org. Online condolences may be made at www.wmsfhva.com. Beverly Poole Morris, 52, of Carson, passed away Sunday, July 13, 2014. She is survived by her husband, James E. “Eddie” Morris; son, Dustin Morris (Ashley); daughter, Allison Morris Spivey (Matt); her parents, A.R. “Billy” and Betty Martha Poole; sister, Carolyn Poole Messier; mother-in-law, Kathleen Morris; sister-in-law, Nancy White and a number of nieces and nephews. Beverly was preceded in death by her brother, Robert Poole and grandmother, Alice Poole. She was employed at Richard Bland College for 28 years and was currently the Director of Financial Aid. The family will receive friends 2-4 p.m. and 6:30-8 p.m. Tuesday, July 15 at Owen Funeral Home, 303 S. Halifax Rd, Jarratt, Virginia 23867 where the funeral service will be held 2 p.m. Wednesday, July 16. Interment will follow at Concord United Methodist Church. In lieu of flowers, the family suggests memorial contributions be made to Carson Volunteer Fire Department, 20015 Halifax Rd, Carson, Virginia 23830. Online condolences may be made atwww.owenfh.com. Mason (May-May) Bayne Taylor was called to his heavenly home on Saturday, June 28, 2014. He was preceded in death by his loving granddaddy John Fajna and Charlie Taylor, grandma Mavis Taylor, godfather Charles Taylor, and his cousin Avery Drew Swenson. Mike and Trina were blessed to be Mason’s parents for 9 years. He also impacted the lives of his big sisters Chelsea Dayne (JakeKing) and Caroline Layne, his big brother Michael Wayne (Amanda Earp). He leaves behind his grandmother Carolyn Fajna, godmother Diane Taylor, and numerous aunts, uncles, and cousins. He was a joyful, energetic, and in-the-moment little boy. Mason took advantage of every second of everyday and was always going from sunup to sundown. He had many loves in his life including hunting, fishing, being on the farm, music, and baseball. Mason was excited to have made the Emporia-Greensville All-Stars this year and played as number #33. As a prankster, Mason loved making people laugh whether it was acting silly, dancing, or singing terribly. He wasn’t shy and always took the opportunity to meet and become a friend to everyone he knew. At a young age, Mason impacted the lives of many and will always be remembered by his goofy grin, wide eyes, blonde hair, and his one-of-a-kind personality. The family will receive family and friends 4:00 to 8:00 p.m. Wednesday, July 2, 2014 at Owen Funeral Home, 303 S. Halifax Road, Jarratt, VA. Funeral service will be at 2:00 p.m. Thursday, July 3, 2014 at St. John Lutheran Church, 1351 West Atlantic Street, Emporia, VA. He will be laid to rest at St. John Lutheran Cemetery on Purdy Road. In lieu of flowers, the family asks that memorial contributions be made to St. John Lutheran Church or the Mason Taylor Scholarship Fund which will be handled through First Citizens Bank. The family asks that checks be made to the Mason Taylor Scholarship Fund and mailed to 2550 Chapmans Ford Road, Emporia, VA. The money will be donated as a scholarship to the 2022 graduating class. Online condolences may be made at www.owenfh.com. Lewis Wayne “Chip” Shifflett, 65, of Emporia, passed away Tuesday, July 2, 2014. He was the son of the late Robert and Ruth Shifflett and was also preceded in death by five brothers, Carlton “Beetle” Shifflett, Jay Shifflett, Pleas “Petey” Shifflett, Terry “Monkeyman” Shifflett and Robert “Robin” Shifflett. He is survived by his wife, Doris Charrette Shifflett; son, Robert “Robbie” Shifflett and wife, April; three grandchildren, Gregory Jarratt, Brandon Goodwin and Corey Goodwin; three brothers, Larry Shifflett (Yvonne), Timmy Shifflett (Debbie) and Neil Shifflett, all of Rockbridge County, Virginia; sisters-in-law, Barbara Shifflett, Nancy Shifflett, Joan Parrish (Marvin), Nancy Simpson, Carolyn Williamson (Gene), Sandra Jarratt (Kenny); mother-in-law, Cecile “Sis” Charrette and numerous nieces and nephews. A memorial service will be held 7 p.m. Tuesday, July 8 at Owen Funeral Home, 303 S. Halifax Rd, Jarratt, Virginia where the family will receive friends one hour prior to the service. In lieu of flowers, the family suggests memorial contributions be made to Bon Secours Hospice, 7229 Forest Ave, Suite 200, Richmond, Virginia 23226. Online condolences may be made at www.owenfh.com. Pattie Warren Wood Tillar, 70, of Emporia, Va, passed away peacefully at home surrounded by her husband and daughters, on Wednesday, June 25, 2014, after a courageous struggle with Alzheimer's disease and Lewy Body Dementia. Born on July 13, 1943, in Richmond, Va, she was predeceased by her parents, Edward Massenburg and Jessie Watkins Wood. Pattie was a devoted wife and mother, always putting her family first. She is survived by her loving husband of almost 50 years, Dr. William Thomas Tillar, III; and daughters, Anne Warren Tillar, and Julia Leavelle Tillar; grandchildren, Alexander Thomas Younger, Meredith Claire Younger and Christian Timothy Younger, of Waxhaw, NC, and brother, Edward Massenburg Wood (Carolyn), of York, SC. She is also survived by brothers-in-law, Donaldson Preston Tillar (Hazel), of Williamsburg, VA, and David Billingsley Tillar (Ames), of Emporia, VA, and several nieces and nephews. Pattie graduated from Greensville County High School in Emporia in 1961 and Westhampton College in Richmond in 1965, earning a Bachelor's degree in Elementary Education. She married her high school sweetheart, Bill, on August 15, 1964. She was a member of First Presbyterian Church of Emporia. She began her career in Franklin, Va, as a first grade teacher. After returning to Emporia, Pattie was active the Junior Woman's Club and the Presbyterian Women of the Church. She worked part-time at the old library and was instrumental in the formation of the Richardson Memorial Library. She went on to become librarian at Brunswick Academy, retiring after 28 years. Pattie was a voracious reader and loved reading stories to children, especially her grandchildren, whom she always had books on hand to give to them. The family will receive friends from 6:00 to 8:00 p.m. Friday, June 27, 2014 at Echols Funeral Home. A celebration of life will be held Saturday, June 28, 2014, at 2:00 p.m. at First Presbyterian Church of Emporia, with graveside services immediately following at Emporia Cemetery. There will be a reception at the church following the burial. In lieu of flowers, the family requests donations be made to Brunswick Academy, 2100 Planters Rd, Lawrenceville, Va, 23847, or the Lewy Body Dementia Association, 912 Killian Hill Road S.W., Lilburn, GA 30047. The family would like to thank Hospice of Virginia for their outstanding care over the last few months, and would also like to thank her caregivers, Hattie Lee, Delphine Hall, and Teri Vaughan. Condolonsces may be sent toecholsfuneralhome.com. Mrs. Doris Rawls Miller, age 86, died June 22, 2014. She was born Sept. 21, 1927 in Southampton County. Mrs. Miller was a former Director of the Community Action Program in Danbury, Conn. , she was also a long time member of Persons United Methodist Church. Mrs.Miller was married January 13, 1946 to John Gaines Miller, III in Galena, Illinois. She was predeceased by her parents, Charles Person and Hattie Grizzard Rawls, 2-sons John Gaines Miller, IV and Charles Russell Miller, 1-daughter Sharon Leigh Miller and brother Charles Person Rawls, Jr. She is survived by her husband John Gaines Miller, III, son Dwane Henry Miller and wife Dee B. Miller, brother Melvin Lee Rawls, sister Connie Temperance Rawls, Daughter-in-law Karen Fitzsimmons Miller, grandchildren ; Jennifer O’Neill Howard and husband Sloan Howard , Erica Trout and husband Joe Trout, Russell F. Miller, Laura M. Ross and husband Jason Ross, and Eleanor M. Robertson and husband Tim Robertson. ; Great-grandchildren; Cierra Howard, Chayne Howard, Nathan Trout, Natalie Trout, Gracyn Ross, Coral Ross, Gabriella (Bella) Robertson, and Burkley Robertson. Visitation will be held 11:00 A. M. Wednesday , June 25, at the Persons United Methodist Church , 27642 Old Church Rd., Drewryville, Va. where funeral service will follow 12:00 P.M. (Noon) with burial to follow in church cemetery. In lieu of flowers family request Memorial donations be made to Persons United Methodist Church , Attention Mark Person, Treasurer, P. O. Box 14121, Richmond, Va. 23225. Condolences may be made to www.echolsfuneralhome.com. Emporia, Margie Harp Ferguson died Monday, June 09, 2014. She was born in Roanoke Rapids, N. C., the daughter of the late Walter P. and Allie Parks Harp. She was preceded in death by husband Henry Clayton Ferguson and brother Alfred Lee Harp. She was a member of Forest Hill Baptist Church. She loved her Lord and Savior, family church family and everyone. She dedicated her time to serving the Lord as an Adult Sunday School teacher, pianist, organist, music director and various other committees at Forest Hill Baptist Church. She is survived by her son Michael W. Ferguson and wife Carolyn, daughter Debbie F. Moseley and husband Leslie. Six grandchildren; Craig Ferguson, Clay Ferguson and wife Teresa, Chris Ferguson and wife Stephanie, Kirk Moseley and wife Erica, Kristen Moseley and eight great-grandchildren , Skylar, Tucker, Tyler, Tori, Haley, Joshua, Bailey and Ashlynn, all of Emporia. One brother, Mason Harp and wife Helen of Roanoke Rapids, N. C., a nephew Timmy Harp, cousins and many friends. The family will receive family and friends at Echols Funeral Home, Wednesday June 11th 6:00 P. M. till 8:30 P. M. Funeral services will be held Thursday, June 12th at 2:00 P. M. at Forest Hill Baptist Church, with Reverends Marcus Daly, Terry Corder and Lamar Boulware officiating. Interment will follow in the church cemetery In lieu of flowers contributions may be made to: Forest Hill Baptist Cemetery Fund, 5010 Brink Road, Emporia, Va. or Greensville Rescue Squad, 513 South Main St., Emporia, Virginia . Pallbearers, Timmy Harp, Robert Story, Len Hobbs, Kennon Ferguson, Jr., Charles King, Glen Bradley, Danny Rook, & Thurston Vann. Honorary Pallbearers, Mason Harp, Arnold Vincent, Bernard Lee, Steve Ferguson, Gene Frazier, Bobby Lee, Dave Driver, Elwood Vincent, G. L. Rawlings, Pender Smith, Jr. and Jimmy Ferguson . Echols Funeral Home, Emporia, Va., will be in charge of arrangements. Condolences may be made to www.echolsfuneral home.com. Grace O’Neal Acree Wright, age 74, died Saturday, June 7, 2014. She is survived by 1-daughter Wendy Wright (Michael Shearin) of Emporia; 1-son Randy Wright (Donna) of Emporia; special companions Toby and Jenny. Visitation will be held Monday night June 9 from 6:00 to 7:30 P. M. at the Echols Funeral Home, 806 Brunswick Ave., Emporia, Va. A graveside service will be held Tuesday, June 10 , 2014, 11:00 A. M. at the Mt. Vernone Baptist Church Cemetery, 16489 Dry Bread Road, Emporia, Virginia . RANDY KIETRON POPE better known as "Loki" departed this life on Saturday, May 31, 2014 at VCU Medical Center in Richmond, Virginia. Randy was born to Juanita Pope and Randy Dobie on October 19, 1989 along with his twin brother; Shawn Pope. He received his education through Greensville County Public Schools Systems. Randy was a very talented young man and was viewed as a role model for many younger men in town. Randy was raised with an abundance of respect for his elders through the guidance of his grandmother; Mrs. Emma Dean Smith. Randy leaves to cherish his beloved memories a loving mother: Juanita Pope of Emporia, VA, his father; Randy Dobie of Maryland, his loving and devoted grandparents; Emma Dean and Ronnie Smith of Emporia, VA, a fiancé; Tiffany Woodruff, two sons; Elijah and Kietron Pope all of Emporia, VA, seven brothers; Shawn D. Pope, Leo Pope, Christopher Rodgers, Marcel Rodgers, Derek Pope, Author Maryland and Tyron Everett, one sister; Felicia Pope, one devoted aunt; Julia Pope and a host of nieces, nephews, cousins and friends.